Please call owner Diane at 716-774-8346 or 716-713-8723. Boat is in Buffalo, New York. 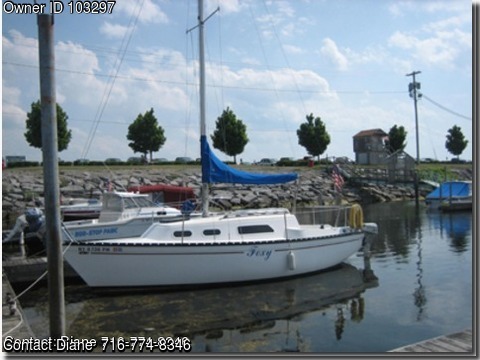 4 sails, battery, reupholstered seats, winch, sleeps 4, New Harken Roller Furling cost $1500.